Todd J. Sukol has worked in and around the nonprofit and philanthropic sector most of his career. He serves as Executive Director of the Mayberg Foundation where he oversees the foundation’s grantmaking and incubation of several national projects, including the Jewish Education Innovation Challenge (JEIC). Passionate about passion, Todd has an eclectic mix of interests, all of which center on finding ways to bring out the very best in each person and circumstance he encounters. His greatest joy is supporting and encouraging extraordinary people as they bring their best gifts into the world. It is this mission that guides his personal and professional life every day. In addition to his professional roles, he acts as a confident and trusted advisor to countless professional and lay leaders working on behalf of charitable causes. Todd began his career in the nonprofit sector as Program Director of Maryland Hillel in College Park. He honed his marketing and communications skills in the association and marketing agency worlds before founding Sukol Communications, a Maryland based marketing firm that specialized in the senior market. Todd received an M.A. in Philanthropic Studies from the Lilly Family School of Philanthropy at Indiana University and a B.A. in Journalism from the Pennsylvania State University. He also studied media at the University of Manchester in England and completed a two-year Yeshiva program at Machon Shlomo: Alexander and Eva Heiden Torah Institute in Jerusalem, Israel. In addition to his professional endeavors, Todd is an avid reader, writer and music enthusiast. He loves hiking and playing the drums, and is an active member of the Greater Washington Jewish and philanthropic communities. The most cherished roles he fills are that of devoted husband to his wife (and college sweetheart) Amy and loving father to their five children. Amanda Mizrahi brings a varied skill set to the Mayberg Foundation, including an expertise in program oversight, nonprofit organizational development, database management, and statistical analysis. Her more than ten years of nonprofit experience allowed her the opportunity to hone her skills with many aspects in the industry, an asset she seeks to share with the programs she manages on behalf of the Mayberg Foundation. 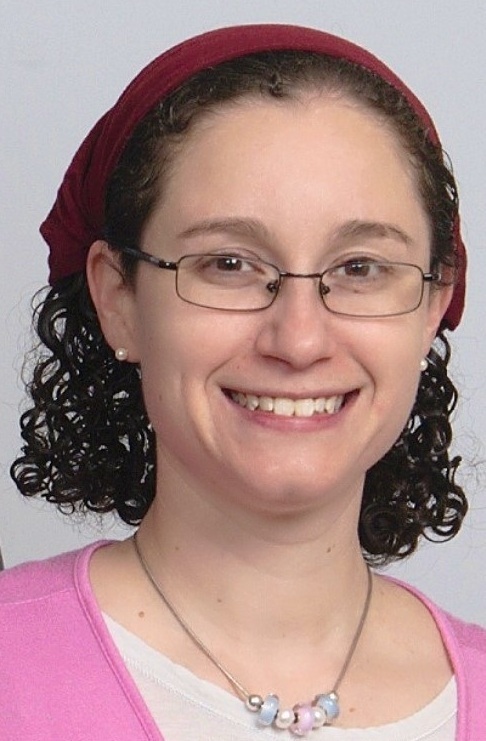 Amanda has an enthusiasm for the nonprofit sector, including coursework at the Hornstein Jewish Professional Leadership Program at Brandeis University and a Masters in Business Administration. Amanda's most passionate role is as wife and mother to her three children. Rebecca Weisman has served the Jewish communal field for over two decades in nonprofits focused on Jewish education, leadership and engagement. She brings expertise in marketing, communications, educational innovation and change management from her professional experiences in the Jewish community including schools, congregations, central agencies and community-based philanthropy programs. Rebecca earned a bachelor's degree in journalism-public relations and sociology from the University of Maryland, College Park and a Master of Science in Education from Johns Hopkins University. She and her husband met in their day school kindergarten class and are the proud parents of two daughters. Tyler Grasee comes to the Mayberg Foundation after several years working in the cultural sector. His experience in membership marketing, development operations, curatorial research and museum education have afforded him the opportunity to connect people of all backgrounds through ideas and shared priorities. Tyler holds a bachelor’s degree in anthropology from Lawrence University. Inspired by the power of Jewish history through his work in Jewish museums in both Milwaukee, Wisconsin and Berlin, Germany, he earned an M.A. in Museum Studies through the George Washington University. Tyler, who is an active member of the Washington, D.C. Jewish community, spends his spare time reading and playing the piano. Engaged within the Jewish community most of her life, Marni comes to us from the Bender JCC of Greater Washington where she worked in various administrative positions over the past ten years. It was there where Marni was able to use her strong interpersonal skills to develop close relationships across the Jewish world and Israel. This expansion helped set Marni on her own Jewish journey enabling her to closely identify with the mission of the Mayberg Foundation. Marni has 3 grown sons who are working hard to make their mark in the world.